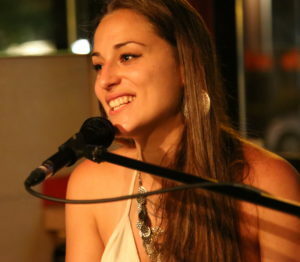 In addition to her training in pop music, Audree Alexandrine studied classical singing at Concordia University. En 2016, she received several prizes and bursaries, including the Noël-Spinelli, Nadia Turbide and Lessy-Kimmel scholarships, as well as a leadership and implication award from the SWAAC association. More recently, in 2017-2018, she received an excellence bursary from the Desjardins foundation and 2 prizes from Concordia University, including the Cathy Watt Award for Vocal Studies. Audree Alexandrine is also involved in her community, singing for elderly in hospitals and residences, as well as in churches. Audree Alexandrine has being composing her own originals for quite a few years already, some being in French, her mother tongue, some being in English. 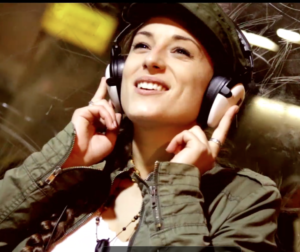 Her musical style is pop and melodic, with soul and jazzy influences. Stage being what she prefers the most, she doesn’t miss a chance to participe in different shows with various projects. Through the years, she performed in Quebec, but also in Europe, most notably in Switzerland and in Hungary. Audree Alexandrine could be compared to a musical cameleon: you could hear her play her compositions, accompanying herself on piano, or rocking the crowd with her soul-funk from the 70’s covers project. 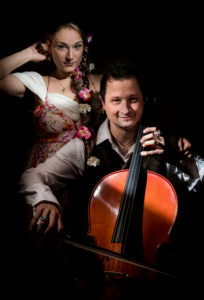 Or sing something like “Carmen” with her voice and cello duet, Cello Flowers.